Spending a glorious holiday in Mozambique means finding the right kind of accommodation for your needs. If you are a family with children you need space and activities for young and old. If you are newly married, you require a magical honeymoon suite with special extras and access to fine beaches. And if you are a business client, you require a comfortable suite and high tech conference facilities. Mozambique has it all. We can assist you to tailor make your perfect holiday or business break in Mozambique from the wonderful array of comfortable accommodation offered in the country’s cities, on the mainland coast and on the islands, a short transfer away. Contact one of our consultants to assist you with finding a place to stay. You too can book a unique place to stay in Maputo, Inhambane, Vilankulo or one of the Archipelago islands. Business people prefer to be based here where flights land regularly from South Africa and further away. Maputo covers everything from budget self-catering venues, homely guest houses and bed and breakfasts to luxurious hotels and beachfront resorts. Mozambique destinations offer fun activities for everyone, wonderful food and awesome facilities. 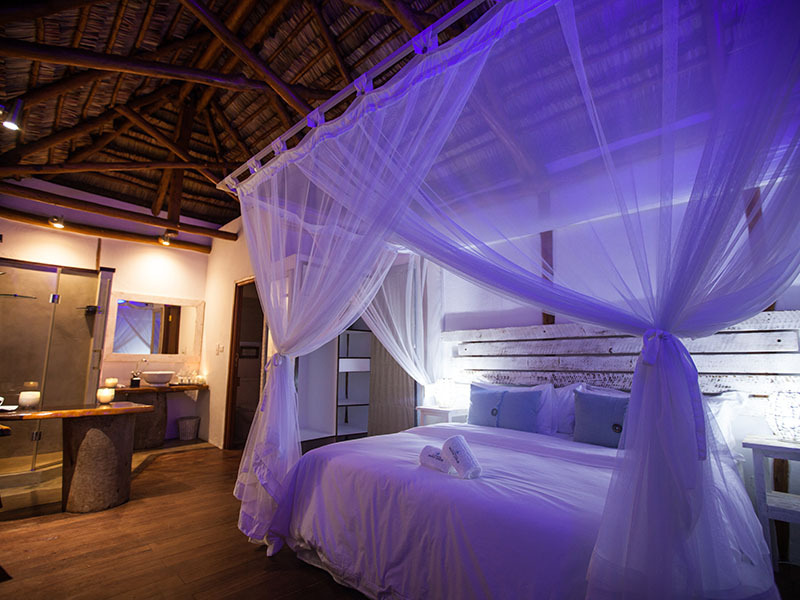 Honeymoon couples can stay in suites in romantic hotels or in sumptuous island villas in the Bazaruto and Quirimbas Archipelagos. Ibo Island Lodge and Anantara Bazaruto Lodge are dreamy locations for couples in love. Diving and fishing accommodation is also top of the list for many explorers to the south of Africa where pristine coral reefs and amazing marine wildlife are waiting to be seen! Try Azura Benguerra and Vamizi Island for ideal diving holidays in top class island accommodation. Most accommodation venues in Mozambique serve up mouth-watering seafood and offer fine South African wines. Meet interesting, very friendly people who come from a fascinating background of Arab, Chinese, Portuguese, Indian and African ancestry. For a game viewing safari in exquisite game reserves, stay in luxurious accommodation including lavish tented camps and chic safari lodges. Gorongosa National Park and Niassa Wildlife Reserve are the ultimate wilderness destinations with their chic bush accommodation. Lugenda Wilderness Camp is serene and blissful. Mozambique is a cosmopolitan destination with attractions for all – book your accommodation today.